Paul Waller, Wade Hopkins and Sam Sorrell talk about using Athletic Training skills outside of the normal setting to help people in need of the care and treatment Athletic Trainers are best known for. This entry was posted in Podcast and tagged Christian Sports Medicine Alliance, CSMA, Del Largo, FCA, FCA Camps, La Tereta, Medical mission trips, medical missions, Paul Waller, Sam Sorrell, Wade Hopkins on May 3, 2015 by Host of The SMB. Paul Waller founded Christian Sports Medicine Alliance or CSMA so that Athletic Trainers could use their skills to share their faith. Listen as he tells us his story, where they are headed and how you can be involved. This entry was posted in Podcast and tagged @atpodcast, Belieze, Christian Sports Medicine Alliance, CSMA, Faith, Jeremy Jackson, Jesus Christ, Kara Taylor, mission trips, Paul Waller, serve, SMB, summer, Ukraine, volunteer on May 16, 2014 by Host of The SMB. From Houston to Dallas the Ukraine to the Domincan Republic sports medicine has no boundries. Diane and Renatta talk about how they used their sports medicine skils to serve others this summer with CSMA. This entry was posted in Podcast and tagged Christian Sports Medicine Alliance, CSMA, Diane Shore, Dominican Republic, Jeremy Jackson, Panama, Renatta Dellelo, service, Sports Medicine Broadcast, Ukraine on October 25, 2013 by Host of The SMB. This entry was posted in Podcast and tagged Christian Sports Medicine Alliance, CSMA, Jackson, Jeremy, Jeremy Jackson, Pasadena High School, Pasadena Independent School District, Pasadena isd, Podcast, Renatta Delello, Shenne Lewellen, SMB, Sports Medicine Broadcast, Sports Medicine Course on May 3, 2013 by Host of The SMB. This summer Diane Shore used her Sports Medicine skills to serve out her faith in the Ukraine and she is already working on heading back to the mission field next summer. Take a moment to listen to her story. This entry was posted in Podcast and tagged Athletic Trainer, Christian Sports Medicine Alliance, CSMA, Diane Shore, FCA, Jackson, Jeremy, Jeremy Jackson, Pasadena High, SMB, Sports Medicine Broadcast, Sports Medicine Course, Sports Medicine in the Ukraine, Ukraine on September 13, 2012 by Host of The SMB. 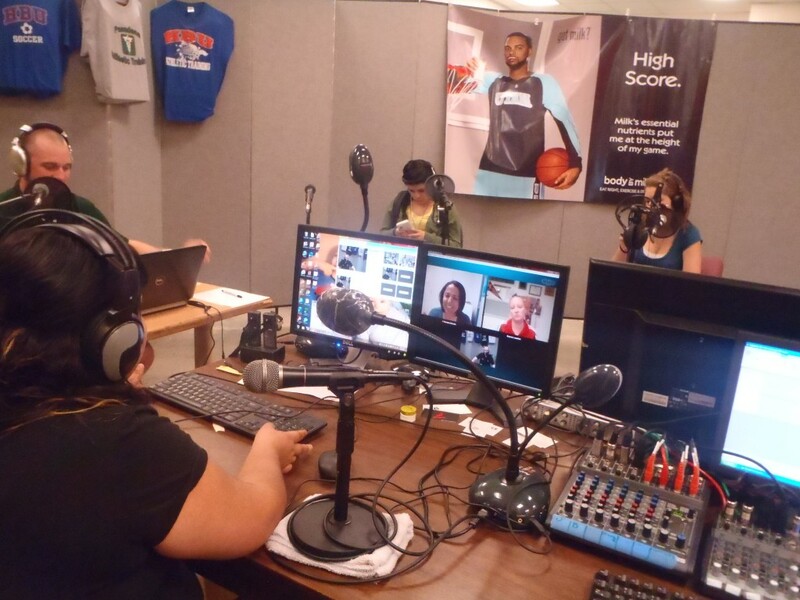 Kara Taylor, Director of Mobilization for Christian Sports Medicine Alliance, joins us to give some details and stories about how Sports Medicine people are using the skills they have learned to share the message of Hope. This was also our first episode using Skype and second using Ustream to broadcast live so you can join in the conversation via the chat room. This entry was posted in Podcast and tagged Athletic Trainer, Christian Sports Medicine Alliance, CSMA, Jackson, Jeremy, Jeremy Jackson, Pasadena High School, Podcast, SMB, Sports Medicine Broadcast, Sports Medicine Course on April 25, 2012 by Host of The SMB.